Founder of " The Key to Couples Work" a TA based training. I'm Jennie, a qualified psychotherapist, couples counsellor, trainer, supervisor and author. Due to my relocation in the summer I'm no longer taking on clients. Boundaries are an important part in a healthy every day life. I can help you learn about this valuable tool to aid your relationships with yourself and others. 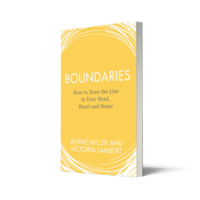 In our book we explore the many challenges faced when holding ones own boundary and how to build healthy ones with ourselves and others. My co- author is award- winning journalist Victoria Lambert. The next Key To Couple's Work Training is April 27th-28th in Winchester. I also offer supervision, please see relevant page for more details on individual supervision, groups and one off couples supervision-this is for counsellors and psychotherapists who might like the occasional supervision on their couple's work, providing a different perspective and input. counsellor/psychotherapist/couples counsellor/ relationships/supervision/ accessible from Winchester and Petersfield Hampshire .